I’ve decided to change the look, feel and focus of my blog. Instead of concentrating exclusively on food and recipes, I’m expanding to other topics. The reason is simple: life changes and we must change as well. When I was pregnant with my son Billy, I was diagnosed with gestational diabetes. After administering 3 shots of insulin and testing my blood sugars 7 times each day, delivering that 9.7 pound baby boy was a huge relief! Be careful they told me, you have a 50-60% chance of getting diabetes over the next 10 years if you don’t take the weight off. The dietitian gave me a goal weight and a diet. I tried, I really did. But I allowed stress to run my life and food to provide much-needed comfort. As my weight climbed, my family became more concerned and scared for me, especially my parents. I didn’t look forward to visits for fear they would bring “it” up. I went to a special class and learned to live and eat as if I was a diabetic. I began taking my blood sugars consistently to see how various foods affected me. I took a medication called Metformin and met with my doctor every 3 months to monitor progress. And yet, still nothing was working. After awhile, I didn’t recognize myself in the mirror, none of my clothing fit, I had less energy, my self-esteem was suffering, my arthritis was getting worse and I was just plain old unhappy. Until…after almost 20 years of climbing the weight ladder I decided enough is enough. It began back in the spring of 2014. Because of the steroids and seizure medications I was on for my brain tumor, I gained more weight. Once I got off those awful things, I was able to shed a few pounds. The pain of losing my father this past December actually helped me to dig in, become more tenacious and focus even harder. Another key was having my husband join me on this journey. In January, we did a bunch of research and created a healthy living plan. I’ll share those details in another post. I’m happy to report that after years and years of dieting with small and temporary results, I’ve finally lost 40 pounds. Bill has lost 30 pounds, enabling him to go off two medications. I only wish my Daddy were here to see the changes we’ve made. Food is one of my best friends, and will likely remain in the top 3 forever. But, out of necessity, our relationship has had to change. This meant my blog focus had to be adjusted as well. First, I altered the name very slightly to “Family ~ Food ~ Roots”, indicating three separate thoughts. As the “basic cause, source, or origin of something”, roots can be at the beginning of anything…family, traditions, parenting, learning, humor, spiritual awakenings, recipes, healthy living, important discoveries and more. Roots allow plants to be “established deeply and firmly”. I believe people have the same needs. Thanks for being there this past two years as I’ve navigated through my personal trials. I thank my Father in Heaven and my Savior, Jesus Christ for listening to me during the dark and lonely nights and lifting me into the sunlight of the early morning dawn. Because of them, my sweet husband, loving family and dear friends, I’ve started to dream again and intend to make those dreams come true. Fine-tuning my blog is the first step…so stay tuned! 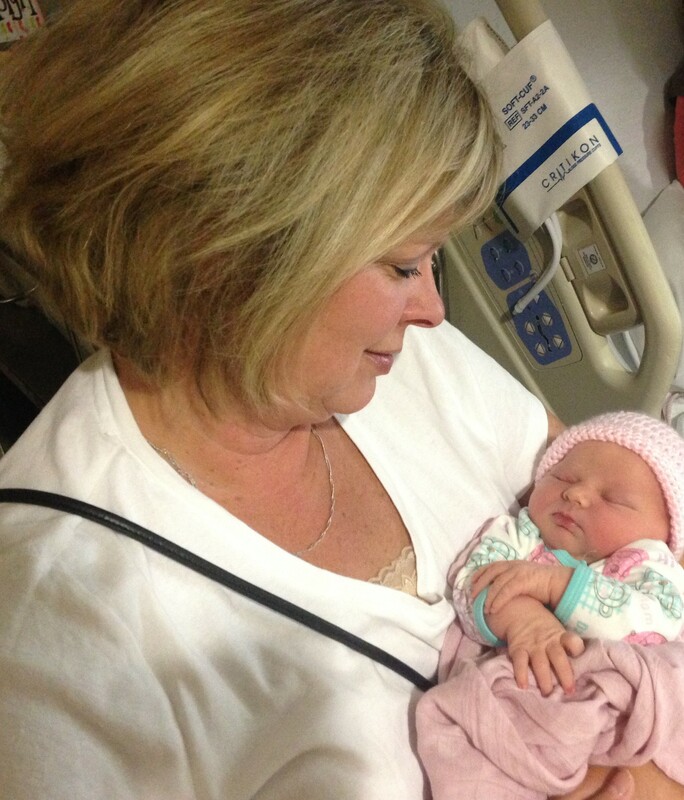 New life brings renewed hope…meet our newest granddaughter, Gwendolyn Joy Reeder. The photo at the beginning of this post is our other granddaughter, Ava Celeste Elliott. Don’t you love those sweet chubby cheeks? You are a gifted writer and person!! I am SO blessed to be your friend. Loved this post!! Oh thank you my friend! Thanks for your support Janet! You are the best! !